Play Poptropica Worlds wherever, whenever, on whatever device! Hello Poptropicans! I hope you’ve been having a poptastic time exploring Poptropica Worlds! Play through some of an island on the app, then continue it on the web later. Decorate your Poptropica House on the web, then change your mind and switch out the wallpaper later on your iPhone’s Poptropica Worlds app. Give your Poptropican a cool look while playing on your parent’s Android tablet, then show off your Poptropican to your friend while on their Macbook at their house! It’s the same game and your same Poptropica avatar, whenever you log into your Poptropica Worlds account (just remember you can only be logged into one device at a time). Pretty cool, huh? Play Poptropica Worlds now, wherever you are -- and then let us know what you think on social media! As you know, one of the things that makes Poptropica so unique is storytelling. The islands on Poptropica have amazing stories behind them that unleash your imagination as you explore different worlds, solve mysteries, battle monsters, and complete super-fun quests! 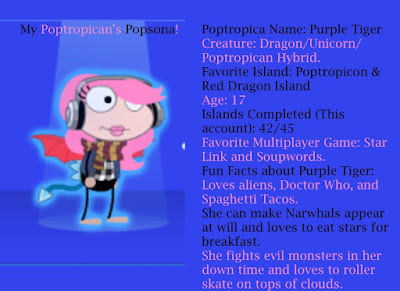 Here at Poptropica, we've noticed that many of you have been inspired by Poptropica's storytelling and created your own backstory, personality, likes/dislikes and more for your Poptropican -- you've given them their own Popsona! 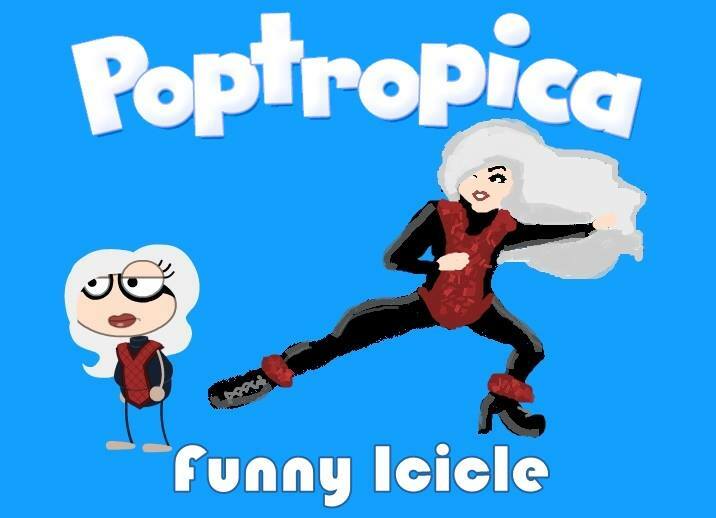 Hanie F. drew her Poptropican, Funny Icicle! Hanie F. says, "Funny Icicle is a super villain! Her name is Black Widow 2.0. She is a clone of Black Widow that was cloned at Super Villain Island, but Zeus (Professor Jupiter) upgraded it -- he made a better version of Black Widow. Black Widow 2.0's favorite island is Counterfeit Island. She wants to avenge Black Widow. She likes to steal and she likes art and fashion. She doesn't like heroes and having friends." 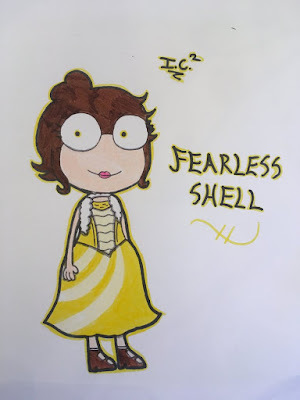 IceSquared drew YumGirl's Poptropican, Fearless Shell! YumGirl says this about Fearless Shell: "She had a rough life... by the time she was 12 she and her father moved away to Paris, where her father grew up with her grandfather. This is also the time she met Mademoiselle Moreau, who was one of her only friends during that time. When she was 16, Fearless Shell and her family moved to San Francisco, where she developed a crush on Ned Noodlehead -- she is the only one who can ignore his flaws. By the time she was 24, she was taking care of two orphaned children, Super Goose and Little Pear." Purple Tiger talked about her Popsona on Twitter! Purple Tiger says this about her avatar: "Purple Tiger is a dragon / unicorn / Poptropican hybrid who loves Star Link and Soupwords. She fights evil monsters in her downtime and loves to roller skate on top of clouds." Read more about her above! Remember, you can always download your Poptropican's avatar by using the Avatar Studio -- no drawing necessary. Tell us about your Poptropican in a tweet, on our Facebook wall, on Instagram, or on your own blog. Just use #MyPopsona so we see it! 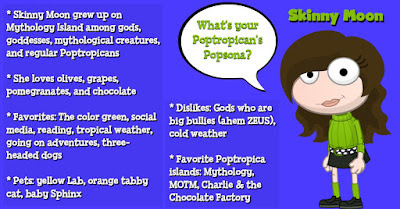 We can't wait to hear all about your Poptropican's Popsona! Tell us all about them and then take your Poptropican through an island adventure or two on Poptropica!